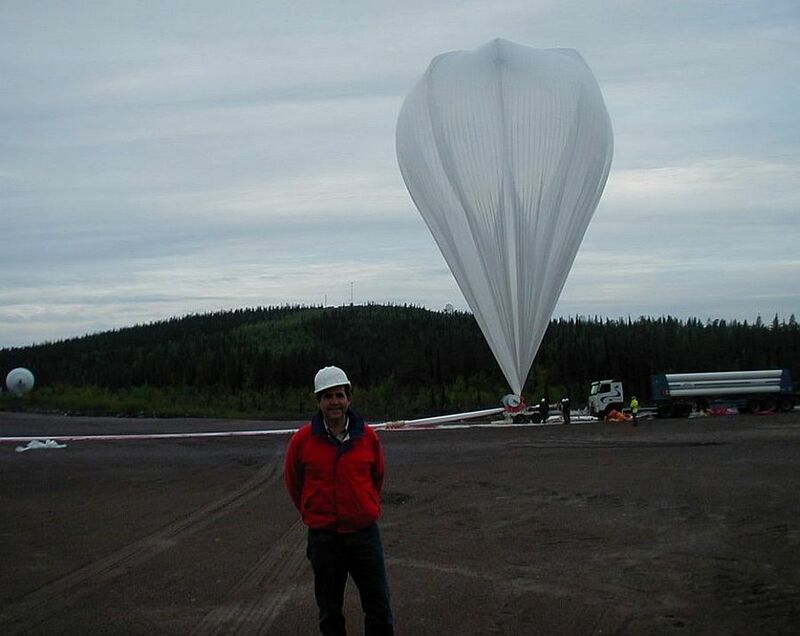 A project to develope a balloon system capable of providing scientific measurements for 100-day missions with floating altitude close to 35km transporting payloads of near 1.5 tons. It is a super-pressure balloon made of a composite fabric (polyester + polyethylene film and fabric) that is filled with Helium and hermetically sealed. Meridional tendons provide additional rigidity to the envelope. The pressure inside the envelop is maintained above the ambient pressure at all times to keep the balloon afloat at a constant altitude. During daytime the internal pressure increases due to solar heating but the volume remains constant due to the rigidity of the envelope. At night the pressure drops due to infrared radiative cooling to space, but as long as the internal pressure remains above the ambient pressure, the balloon stays at the same altitude. 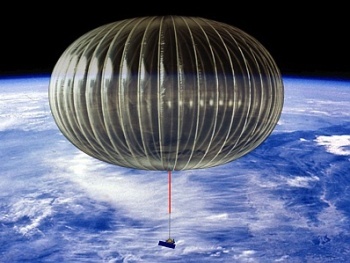 On the future, transported by stratospheric winds around the globe at 30m/s the ULDB would be make a full circunnavegation to Earth in about 2 weeks. The balloon was launched at 1:23 utc on 12 June 2006 by dinamic method assisted by launch vehicle (Hercules). 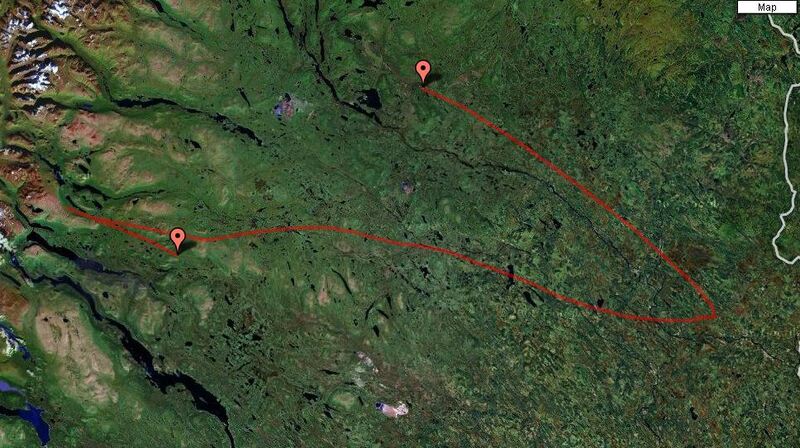 The flight plan called for a transatlantic flight to Canada with a duration of near 6 days. The balloon travelled initially due east and after reaching float altitude of 101.000 ft at 4:42 utc started a flight path in the inverse direction heading to Norway. 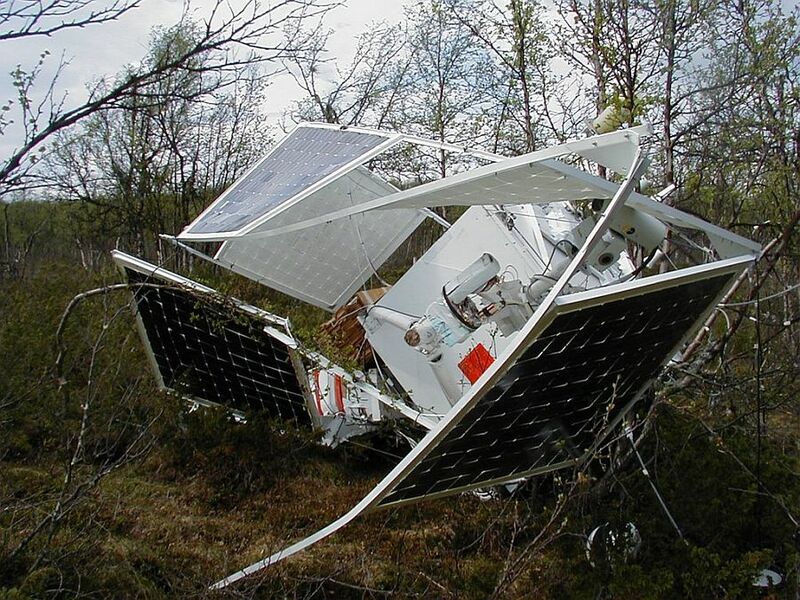 After a while an anomaly was detected in the balloon surface (see details bellow) and hence the flight was terminated by command at 9:13 UTC prior to reaching the Recovery Limit Line. At left can be seen the flight path of the balloon (click to enlarge). 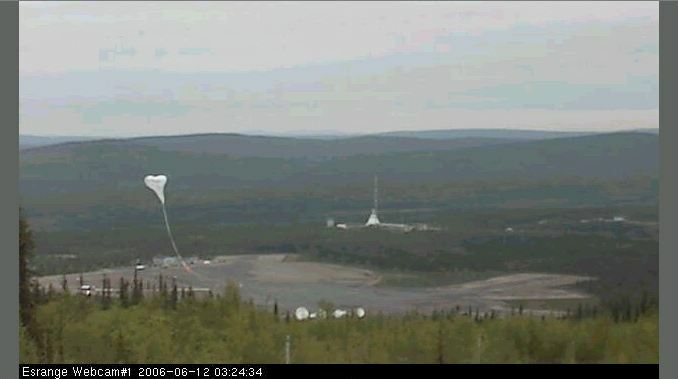 The payload landed safely at 10:05 UTC in a point located 51 miles southwest of Esrange, Sweden at coordinates 67º 27.45 N / 19º 26.91 E. A successful parachute separation was performed using the Semi-Automatic Parachute Release (SAPR) system preventing the drag of the gondola on ground. Members of the ULDB project team accompanied CSBF and Esrange personnel to the payload and completed recovery by the end of the day, 12 June. 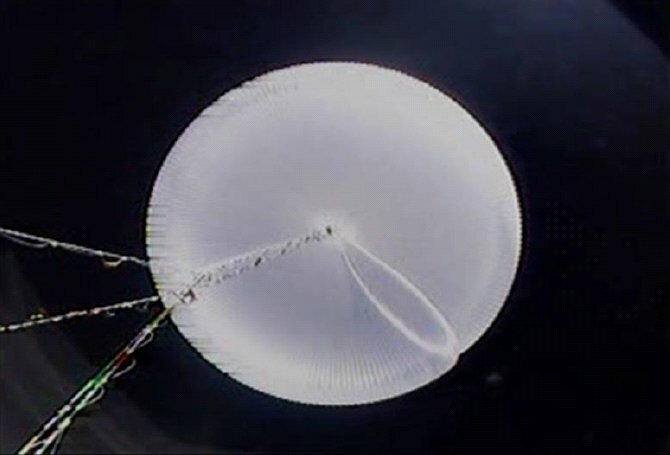 This was the second test flight of the ULDB pumpkin balloon fabricated with no foreshortening of the tendons relative to the shell of the balloon. Minor changes were made in the balloon design based on subsequent material testing, material modeling, and analysis of the findings on the post-flight investigation of the failure occured on the last flight (540NT from Fort Sumner, on Febraury 4, 2005 see the link in the references). The expected flight scenario was to have a successful launch operation, the balloon will ascend to a float altitude and fully deploy, then fly for at least 24 hours and pressurize the balloon incrementally to as high a differential pressure as possible near the end of the flight. The design limit for the balloon was 240 Pa. The inflation and launch operations were nominal. The balloon was eased into float via the flight control and approached float with an ascent velocity of less than ~2.03 m/s (~400 ft/min). The differential pressure control system automatically controlled the pressure back down to between 75 and 80 Pa. There were a number of undeployed areas in the balloon as it ascended. These areas, except for one, reduced in both number and size as the balloon got higher. When the balloon reached float, one large area was not deployed. The area was covered in detail with both the payload mounted and internal balloon mounted pan/tilt/zoom cameras, as well the COSMOCAM piggy back instrument included in the gondola. Assessment of the up-looking video placed the undeployed material between gores 138 and 149. The rest of the balloon was deployed. As part of the flight plan, small ballast drops were allowed to try to force the balloon to deploy but after the initial ones, it was clear that the balloon would not fully deploy with the increasing differential pressure. As flight rules precluded crossing the Recovery Limit Line with a balloon that was not fully deployed, at this point, the flight would need to be terminated before reaching that line. Two of the pre-flight comprehensive success criteria were to pressurize the balloon up to the maximum design differential pressure, and to pressurize the balloon above that point to the maximum extent possible with the available ballast. So a total of 12 ballast drops were made, each increasing the differential pressure by ~10 Pa or ~20 Pa. With all of the ballast expended, the balloon's final maximum differential pressure was ~265 Pa.
Just before termination, a video view was made of the balloon and the undeployed area (see third picture at right). 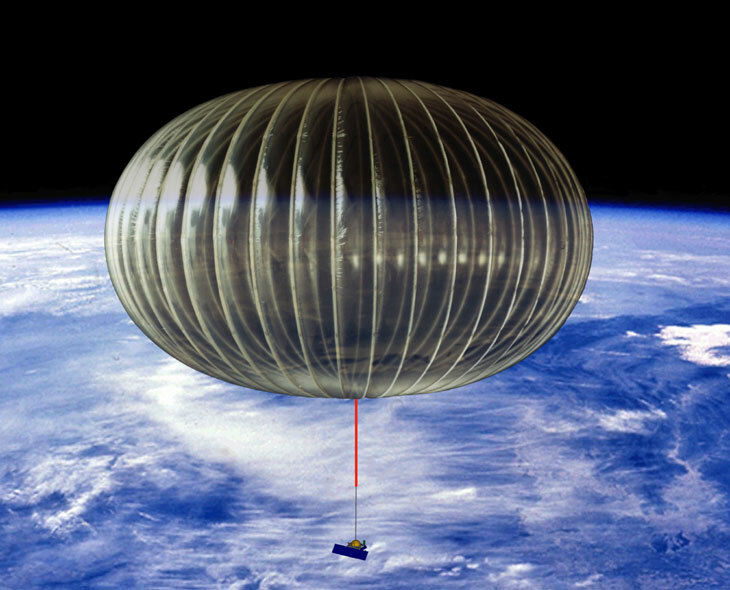 Then, the balloon was turned over to CSBF flight operations for termination. The flight was successfully terminated and both the balloon and payload landed safely. After the flight, there were a number of unanswered questions related to the balloon deployment repeated issue. The investigation was divide into two separate and complimentary ways. First to perform additional deployment testing on small balloons, and second to review the deployment process for all previous ULDB flights. 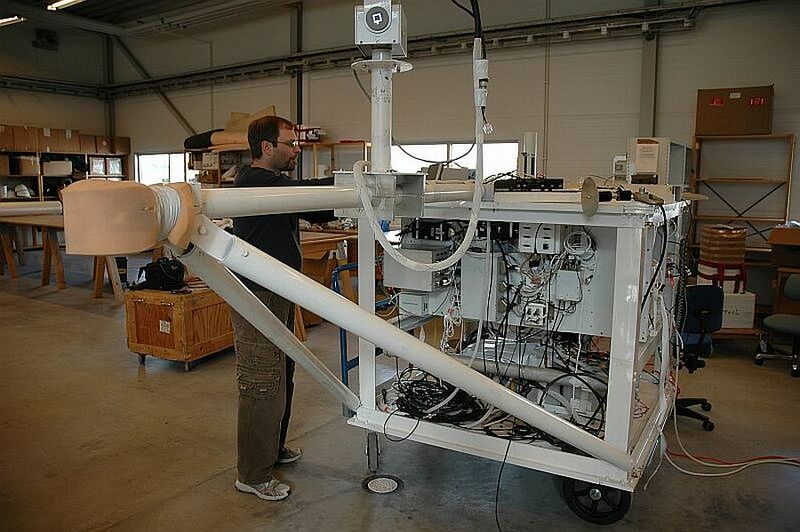 On the first months of 2007, indoor tests were made with a 27 meter scaled model on wich experimentally was replicated the ''S� cleft observed in Sweden balloon. This allowed to carefully study the issue wich led to the final conclusion that the balloon design determinated the balloon's susceptibility to S-cleft buckling as a function of the excess material as the balloon reaches float. A subsequent review of the ULDB's design lead -as several sources had suggested years before- to a flattening of the gores which bulge when pressurized as a solution to the issue. As tested, if the bulge is too exaggerated (as clearly occured in past test flights) the balloon have too much excess material thus not allowing a properly deploy. This change in the design was indoor tested with another scaled balloon at the end of July, 2007 and this time the fabric succesfully deployed entirelly. Is expected a flight test with the new ULDB model design of 6.000.000 cuft by 2008.